All Patriot Edition models are quality built with distinct features and superior comfort in mind. And, they are all set at an affordable price point. So, when you get the opportunity to escape the hustle and bustle of everyday life and enjoy all the beauty and wonder that an outdoor adventure holds, the Patriot Edition is ready and waiting to help you relax and unwind. Each unit features an aerodynamic radius front which improves towability, and you will have no trouble hitching up even in the dark with the lighted power tongue jack. The nitro filled tires help keep the tow going smoothly down the road even on a bumpy surface. Inside, you will enjoy comfortable furnishing, shaker style cabinetry, and large overhead cabinets for plenty of storage. There are two 20 lb. LP bottles, a patio awning for added outdoor living space, plus plenty of exterior storage for your camping gear. These units also offer solar prep for when you choose to do a little boon-docking off the beaten path, and they are also wired for a back up camera if you choose to add that option as well. 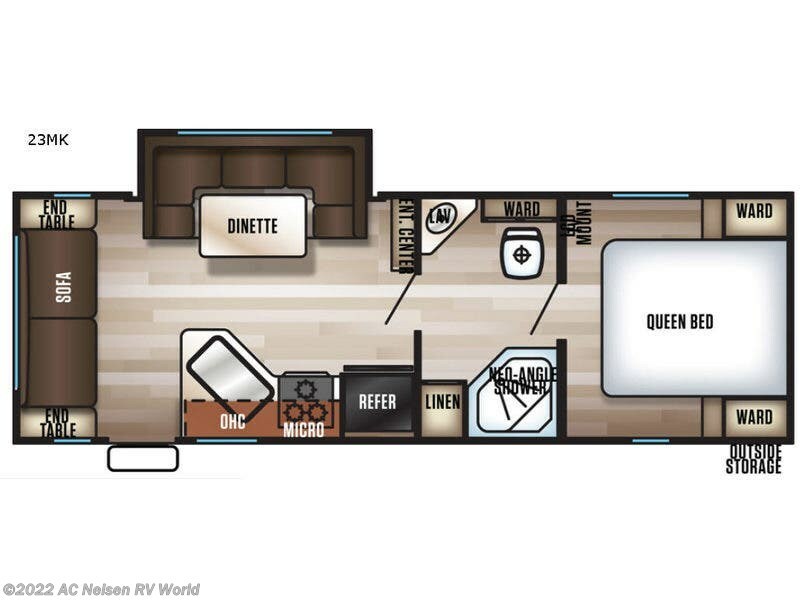 Come choose one of the Patriot Edition travel trailers or toy haulers, and let everyday life take a backseat so you can rest and unwind for awhile! Check out Stock # 15872 - 2019 Forest River Patriot Edition 23MK on forestriverrvsource.com!